I have been photographing the night sky for many years, but never with as much success as now with digital SLR cameras. My photos have been featured on Spaceweather.com, APOD Astronomy Picture of the Day, the Weather Channel, NBCNews.com, CBSNews.com, Earth&Sky, UniverseToday, The Guardian, and in National Geographic magazine, and many other magazines and calendars. I also conduct frequent workshops on astrophoto techniques and image processing with Adobe Photoshop. I recently retired from many years as a writer and producer of planetarium shows, most recently for the TELUS Spark science centre in Calgary. Over some 30 years of producing planetarium shows, my programs have played across Canada and in theatres in the U.S. I am well-known in Canada as an astronomy writer, particularly in my role a contributing editor to SkyNews magazine. I also serve as a contributing editor to Sky and Telescope magazine, writing reviews of equipment. I have recently authored the eBook How to Photograph and Process Nightscapes and Time-Lapses, a 550-page ebook available at the Apple iBook Store. I also co-produced a video tutorial series on Nightscape and Time-Lapse imaging (a screen shot is below), available through my friends at All-Star Telescope. Here’s the link. 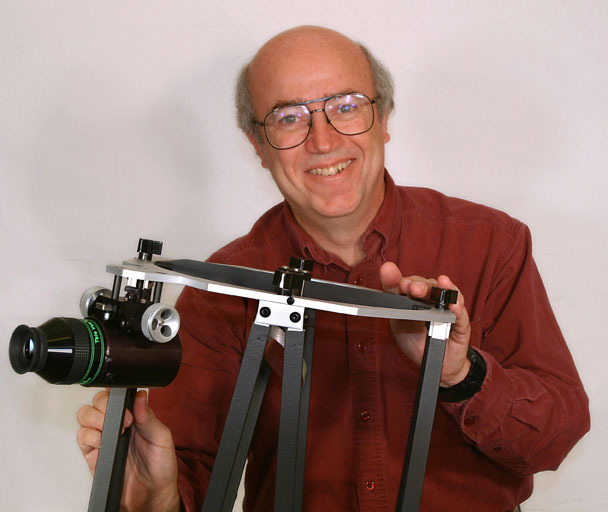 I have also co-authored several best selling print guidebooks for amateur astronomers, including, with Terence Dickinson, The Backyard Astronomer’s Guide, reprinted and revised in 2010 (Firefly Books). I also authored several children’s book on space, notably Insiders: Space and Mission to the Moon, both for Simon and Schuster. A children’s book about Stars was published in 2011. I also contributed sections to National Geographic’s Backyard Guide to the Night Sky. I am a frequent guest expert on local and national news media. As an amateur astronomer, my interests include astrophotography and deep-sky observing (I compiled some of the popular deep-sky observing lists in the annual RASC Observer’s Handbook). I take the opportunity as often as possible to visit the southern hemisphere to pursue both observing and photography under southern skies. My other obsession, eclipse chasing, has taken me to every continent, chalking up 16 total solar eclipses — #16 was in Idaho, on August 21, 2017. Asteroid 78434 is named for me – very nice! Awesome site. Love the reviews. I’d love to see a proper test on the Fuji medium formats for deep sky and night scape bulb exposures if possible. So would I! Get me a medium format camera and I’ll happily test it! Alan, I’ve noticed the many beautiful pictures you’ve taken in the Banff area. I’m planning my first trip there in mid-September 2019. 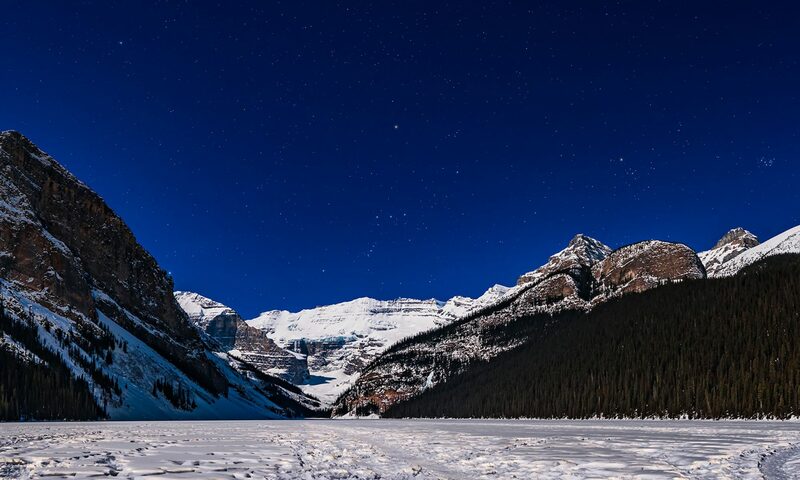 As I’m not that familiar with the terrain, can you recommend some sites I can easily and safely reach at night (staying in Canmore) for: (1) milky way and mountain/water vistas and (2) possible aurora (“Steve?”). A reflection of either milky way and/or aurora over water would be a bucket list accomplishment for me. Hi — Favourite spots are along the Lake Minnewanka Loop Road just north of Banff, and at the lake itself. Also Two Jack and Johnson Lakes on the Loop Road are great. For the Milky Way over water try Herbert Lake, just at the the start of the Icefields Parkway north of Lake Louise, or farther north at Bow Lake. I could really use your help with a question that I can’t find an answer to. How do the stars rotate counter clockwise in the northern hemisphere and clockwise in the southern hemisphere? This question is really making me nuts as I can’t figure out how this works. Any help or advice would be greatly appreciated. The sky turns the same way, east to west wherever you are. But in the Northern Hemisphere you face north to the north celestial pole and the sky turns CCW around the pole. But in the southern hemisphere you face south to the south celestial pole. So because you are now facing the other way, the sky — and trackers — turn CW around the pole. Use any planetarium software – Stellarium.org is free — and you’ll see the sky motion. I know that this is a very late comment after the great American eclipse, but after returning to the UK I purchased your book so I could create a composite based on 8-10 images. I noticed that the instructions within ‘PHOTOSHOP 201: LUMINOSITY MASKS’ use Adobe CC 2017 … Unfortunately I am still using CS5.5 and LR5! All the procedures are absolutely fine, but when I attempt ‘LUMINOSITY MASKING – METHOD #1: MANUAL’ or ‘LUMINOSITY MASKING – METHOD #2: APPLY IMAGE’ the result is just a little less intense than one of my single frame multi-second exposures. There is no subtly as per your example (and I have adjusted the opacities, etc.). I am wondering if you know if the Luminosity technique in CS5 results in unusual results? I am a designer by day so I am very familiar with Photoshop, but perhaps I am simply missing a little ‘trick’ when processing the images. Thank you in advance if you might be able to assist …! Sorry, I can’t help you with using CS5 as that goes back many years though I’m not sure what would be different about the luminosity masks it creates. You might try Photomatix HDR 6 as many have found it works fine. My book shows an example with v5. The issue with HDR blends is alignment and registration. Thank you for your advice, Alan … I’m having a second attempt with my exposures this evening! Alan, I’ve purchased your book on upcoming solar eclipse and got a question while reading it. You mentioned what once you used Canon 60Da. Did you use a UV/IR filter for it when shooting the eclipse? I have myself a Canon 1000Da and I am going to use Baader AstroSolar Film. Do I need to put an UV/IR filter (it is easily doable, thanks to threaded T-adapter) or not? Hi I don’t use any separate UV/IR blocking filter with my modified cameras as they already have them added in before the sensor replacing the stock IR block filter. Mine are not full-spectrum cameras with no filters. With those you would need an external filter. That said using a modified camera won’t make a big difference for totality as the prominences are so bright, and pink, as much of the emission is also H-Beta. But it won’t hurt to use one. Clear skies! Hi, I just read your ebook on shooting the upcoming solar eclipse and it has been a huge help. I would like to shoot closeups with a 400mm prime on a Nex 7. I have a sturdy camera tripod. Would using a barn door tracker on the tripod be a help in keeping the camera aimed properly? Hi Jan. With that focal length and sensor size a tracker would be useful but only if it is solid and is still easy to precisely position the Sun. Practice with it on the Sun or Moon now. If it proves too shaky or hard to use, don’t use it! Practice! Yes, what about Steve? We’ve all seen him. But what causes him is a topic of research at the U of C. aided by Alberta photographers. My husband and Imhave followed your work since we met you at The Reesor Ranch several years ago. It is awesome. We were wondering if you ever considered going to Stewart, B.C. We own a property up there and it is where my father and Uncle were born. There are amazing photography opportunities up there! Hi — I’ve not been to Stewart. One day! Thanks! Great Northern Light Timelapse. I wondered, if you had the whole Timelapse sequence available in Fulldome? Hi — Which image do you mean? I have some aurora shot with an 8mm fish-eye which would work for full-dome but all clips are very short. Wonderful shot of the Mammatus cloud on Nasa pic of the Day site….!!! Thanks for your picture today on http://apod.nasa.gov/apod/ with the title A Retreating Thunderstorm at Sunset. It really is pointing us back to be amazed at what we can enjoy everyday by looking up. The sky above us. Looking forward to explore your website. Christian – I would prefer you simply post the link to my blog rather than republish the photo itself.